From Svvving, "Ideal for large residential areas and lofts interiors spaces, this beautiful unusual object used alone or in pairs, can also find its place in the living room, the chamber, the bathroom, the office, the reception, the waiting room, the lobby of a hotel or coffee lounge, for everyday small pleasures." And a little swing music to get you in the mood - though an entirely different swing altogether! But fun still! SO! 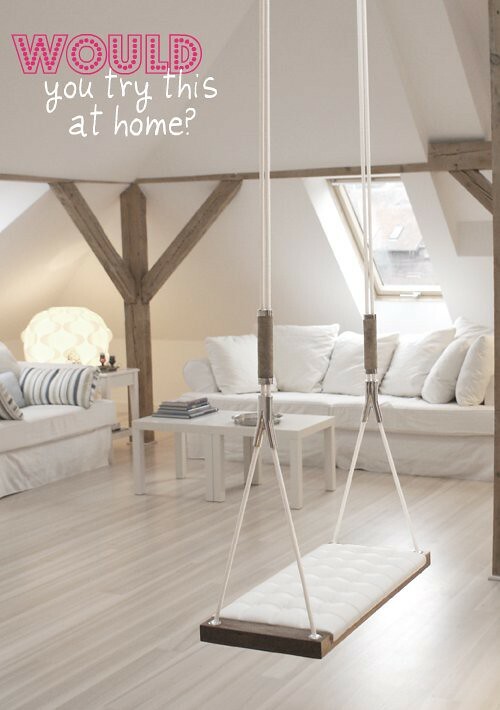 Interior Swings -- hot or not? You tell me!